DETROIT -- The head of General Motors Co.'s global powertrain division has resigned, the latest case of executive turnover under CEO Dan Akerson. GM spokesman Dan Flores confirmed that Jamie Hresko resigned Monday "to pursue other opportunities." No replacement has been named. Hresko, an electrical engineer by training, reported to Mary Barra, who was assigned in January to lead GM's global product development. Hresko had been vice president of global quality from September 2008 until June, when he was tapped as head of powertrain. Previously, he held a variety of manufacturing jobs. Akerson, 62, who became CEO in September, has stressed the importance of advancing powertrain technologies to improve fuel efficiency. He has pressed his engineering team to drive down the cost of the plug-in hybrid Chevrolet Volt by several thousand dollars, for example. 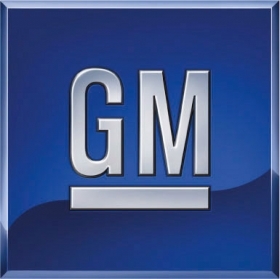 Hresko's departure follows several executive changes at GM this year. Barra replaced former product chief Tom Stephens, who became global chief technology officer. Chris Preuss, the former head of GM's OnStar telematics unit, left last month, replaced by telecommunications industry veteran Linda Marshall. In December, Akerson elevated Joel Ewanick from U.S. marketing chief to head of global marketing. Last month, Ewanick shook up his own team, naming former Chevy marketing chief Chris Perry as vice president of U.S. marketing.